After leaving the Royal Children’s Hospital in Melbourne, on the evening of 5th July 1972 where she was visiting her son following an accident when a cupboard fell on him at school, Maureen Puddy would drive to her mother’s home in Frankston to update her on his condition. And to have a much-needed cup of tea before making the final drive home. At around 9:15 pm, Maureen bid her mother farewell and set off back on her journey. Shortly after, she noticed a sudden glow of blue seemingly coming from above her. Thinking it was likely a police helicopter she would pull the car over to the side of the road. 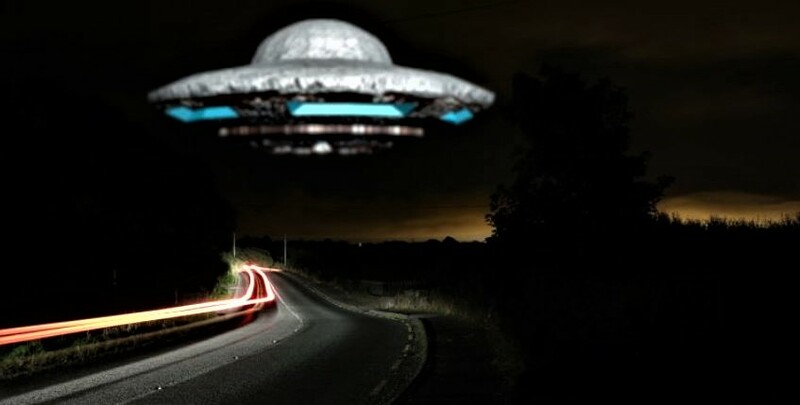 As she stepped from the vehicle expecting to see an officer with a loudspeaker issuing instructions to her, she instead saw a huge, blue, round object, like “two saucers placed together”. She would estimate it to be around “two telephone poles” from the ground. Later investigations would estimate the size of the object to be around one-hundred feet wide. As she pressed herself against the exterior of her car, now questioning her decision to exit the vehicle but remaining where she was nonetheless, she took in as much detail as she could. The entire blue-metallic surface had no joins or seams that she could see and was entirely smooth. Similarly, she noticed no doors or windows of any kind. An “intense blue glow” enveloped the entire craft and cast its brilliant wash all around the immediate area. As she continued to watch the hovering, though motionless object, she noticed a humming noise permeate the air. After several moments she suddenly snapped back to her senses and quickly positioned herself back in the driver’s seat, starting the engine in one fluid motion. She sped away from the scene but much to her horror when she glanced back she noticed the object was following her. No matter how much she increased her speed, the strange blue craft would maintain the exact same distance. This continued for several miles before the object suddenly disappeared leaving Puddy to see a “very bright light streaking” across the sky away from her. She returned home, confused about what she had seen, but certain it wasn’t a dream or an illusion of some kind. She made a report to the police although they certainly didn’t take it very seriously. Nor did the several friends and members of her family who she told of the incident. So much so, she decided to keep the encounter to herself from then on. However, following a similar hospital visit on the evening of the 25th July, at almost the same time of 9:15 pm, at roughly the same spot, the large, blue disc appeared again. This time, though, she decided against stopping the car. In fact, she gripped the wheel and pressed her foot down harder on the accelerator. However, instead of speeding into the distance, the car came to a calm stop at the roadside. As she looked out of her windscreen, the object was hovering above and in front of her. Then, a voice entered her head. “Don’t be afraid, we mean you no harm” were the first words that went through her mind. This was followed by the rather bizarre “your tests will be negative. Tell the media…you are now in control”. What was meant by this is not sure. Then, the car engine started of its own accord. She remained still for a moment before speeding away from the scene. She would make a report of the sighting to the police once more, if only to get it put on record. Several months passed before UFO researchers, Paul Norman and Judith Magee would take an interest in the case. She would speak directly to the researchers as well as giving a public talk at their urging. Puddy would attempt to contact the wider media (as per the apparent instructions to do so) but decided against pursuing the action further due to the usual ridicule she was met with. She claimed to still receive messages, however. And one evening, after claiming to have received a message to “return to the meeting place” she would contact Magee and Norman and arranged to meet them. It would be an evening that would prove to be one of the most bizarre of any of their lives. At a predetermined meeting place near an electricity sub-station off the highway, they arranged to meet at 9 pm. Magee and Norman arrived slightly earlier and could see Puddy approach in her car. As she parked up she immediately ran from the car to the researchers and informed them she nearly “went off the road back there”. Magee and Norman left their car, locked it and walked over to Puddy’s station wagon, asking her to tell them of the encounter on the way to the “meeting place”. As soon as Magee stepped into Puddy’s car she would notice a strange “electric” feeling. As if something simply wasn’t right, although she didn’t know what. They drove on and Puddy informed them that as she was driving to meet them a strange figure in a gold-foil suit appeared out of nowhere in the car. The shock of the sudden appearance almost caused her to lose control of the car. Both researchers would note how genuinely shook up she seemed to be. They arrived at the meeting place, a quiet spot off the main road, and stopped the car. As they sat speaking, Puddy suddenly reached out and grabbed Magee’s arm. “There he is! Can’t you see him?” she exclaimed to the two researchers. As they both looked to where Puddy was looking all they could see was empty road ahead of them. Instead, Puddy appeared to be in some kind of strange trance stating that it was getting closer. So close that if they reached out they would be able to touch it. It was telling her to follow it, she claimed, but she didn’t want to go. All the while, Puddy remained in her seat at the front of the car, apparently seeing something the researchers could not. At this point, Megee would offer to “go with her” and would attempt to coerce her out of the vehicle. However, instead of leaving, Puddy simply gripped the wheel as tightly as she could, refusing to move. Then, while remaining in her seat and still very much in some kind of trance, she began describing the inside of the entity’s space-craft. According to Puddy, she was standing in a large circular room. The entity was in front of her, pointing to a “mushroom-like object” in the middle of the room. This object was around ten feet tall and continually moved “like a jelly”. At the base of this mushroom-shape were symbols or “lines like Roman numerals”. She suddenly became extremely agitated blurting out, “I can’t get out. There are no doors or windows. I can’t get out”. Magee would later state that all the while, Puddy was crying very real tears. If this was some kind of bizarre hallucination, it was very real, if only in her mind. “He wants me to close my eyes” Puddy would offer out of the blue. She did so and appeared to instantly relax. All the while, the two UFO researchers looked on, both amazed and slightly spooked at what was happening. She would continue describing what she could see “inside” the craft, eventually becoming extremely animated once again. Then, just like that, she was “back” inside the car with them. However, before each of them could take a breath, she went back into the trance stating, “I’m back in there again”. She went quiet, but remained calm, before stating to the researchers that the entity was no longer in the craft. She then “returned to the car”, the incident apparently over. The sightings of Maureen Puddy would ultimately lead to one of the strangest cases of alleged abduction on record. 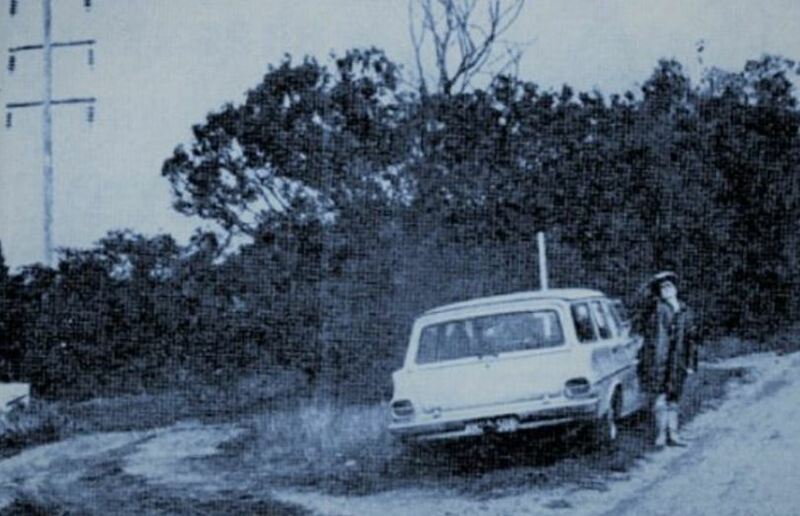 The events began on a lonely Australian road as she drove home from visiting her son in a Melbourne hospital in July of 1972. Following two strange sightings, she began to receive telepathic messages and would ultimately be called back to the “meeting place” by the apparent entity behind them, where two UFO researchers witnessed a most bizarre contact experience. NOTE: The top image is CGI. This entry was posted in ABDUCTION, best ufo photos, incredible ufo photos, MISSING TIME, top ufo news, UFO, UFO ARTICLES, ufo news, ufo photos, Uncategorized and tagged 1992 MELBOURNE AUSTRALIA ALIEN ABDUCTON, 7-5-92 MELBOURNE AUSTRALIA ALIEN ABDUCTION, ABDUCTION, ALIEN CRAFT, ALIEN CRAFT LANDING, ALIEN CRAFT PHOTO, ALIEN ENTITY, ALIEN IMAGE, ALIEN IMPLANTS, ALIEN PHOTO, ALIEN PICTURE, AMAZING UFO PHOTO, BEST UFO PHOTO, best ufo photos, CAMERA CAPTURE UFO, CIRCLE LIGHTS UFO, close encounter, CLOSE ENCOUNTER UFO PHOTO, DISC, FLYING SAUCER, HIGH STRANGENESS, HUMANOID, incredible ufo photos, JULY 5, KEN PFEIFER UFOLOGIST, light photo, MISSING TIME, saucer, SPACESHIP UFO, top ufo news, ufo, UFO ARTICLES, UFO LANDINGS, ufo news, ufo photos, Uncategorized | Tagged ABDUCTION by KEN PFEIFER. Bookmark the permalink.